Watch this busy beaver go! 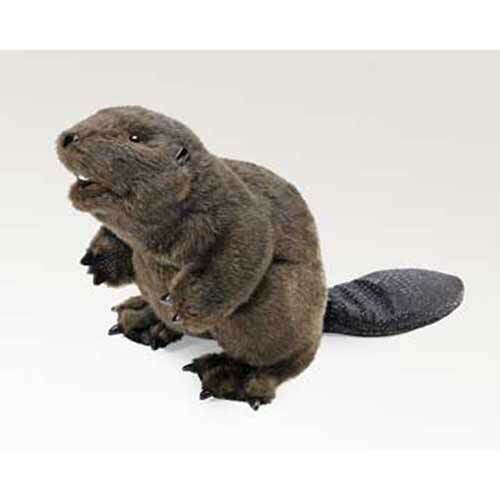 Not for idle hands, this beaver puppet is ready to get down to business. His resume includes sleek brown fur (for swimming), a workable mouth (complete with gnawing incisors), a flat textured tail (for thumping) and a full set of realistic paws. But this fellow does not pause - a beaver's work is never done!